Preventative dentistry is the practice of dental care related procedures that are meant to prevent oral health issues from arising further down the road. There are several ways to undergo preventative dental care; from staying on top of your home care habits to visiting your dentist multiple times a year. Develop a dental routine at home. Remember to brush twice a day and never forget to floss. Engage in a healthy, balanced diet. Did you know fruits and vegetables can actually whiten your teeth? Visit your dentist at least twice a year, but consult with your dentist to establish your personal needs. 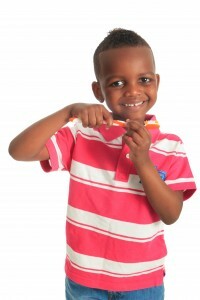 Preventative dentistry should begin as soon as the first tooth erupts through the gumline. This typically occurs no later than 12 months of age. Early dental visits and finding a dentist that you can trust are the foundation for maintain good oral health for a lifetime. Preventative care can stave off infection which can cause several dental maladies including, cavities, tooth decay, periodontal disease, and even tooth loss. Without proper care, bacteria can infiltrate the mouth causing gums to become inflamed and bacteria to reach the pulp of a tooth. Every patient is different; some people may need to visit their dentist only once a year while others may need to get in the dental chair 3 or 4 times a year! If you are at high risk for periodontal disease it is not too late to reverse the effects on your mouth! Just remember to brush your teeth twice a day and floss away.